Ryorin's Ramblings: Geeky News: Return of Wraith Squadron! Quick bit of news that has filled me with utter joy: Wraith Squadron is back! 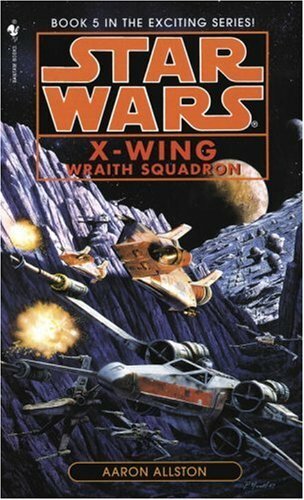 Aaron Allston is going to write another X-wing book focusing on the Wraiths and Del Rey is aiming for a 2012 release date. This news fills me with glee. 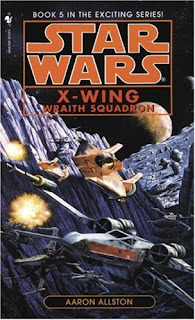 The X-wing books are the reason that Stackpole and Allston are two of my favorite Star Wars authors, and the Wraith books are some of my favorite in the series. Currently my only question about this book is when it will be set, but I'll be happy no matter what the answer. Add this to the news that Timothy Zahn, my other favorite Star Wars author, is writing a sequel to Allegiance that's slated to come out next year, and Ryorin is a very, very happy geek. I'm going to go do a few back-flips and burst into the Ewok celebration song now, if you don't mind. I'm so psyched about this! I didn't think they'd ever make another one. I just hope it's not too far into the timeline; somewhere around the time of the original novels and before the New Jedi Order would be perfect! Hey, Alex, thanks for the comment! I so agree about the timeline, but I'll be happy with it being set anywhen as long as it's fun like the others! This is great news! I had no idea. The X-Wing books were some of my favorites as well. Allegiance was another that I really enjoyed, but felt it didn't get the recognition it deserved. Thanks for letting me know, can't wait! I absolutely agree with you about Allegiance. Even out of Zahn's books, it's one of my favorites. Great site, by the way. It's always nice to have Star Wars-y distractions on hand!